It’s always a scary moment when you log into Google Search Console only to be instantly confronted by a huge list of crawl errors. 400s, 500s, 403s, and the many varieties of 404s such as classic 404s, mystery 404s and soft 404s can be irritating, confusing and often hard to understand and fix. But don’t panic – as a digital agency, CuCo know exactly what to do! Firstly, before we go into details about the different types of errors you might encounter and what to do, we would advise you to start the process by marking ALL errors as fixed. This will help you to better identify which errors actually NEED fixing. One-off, unimportant errors will not show in your next report, whilst important errors will continue to turn up again and again. The 404 error is probably the most common crawl error on Google Search Console – and luckily the easiest to solve! 404 errors indicate faulty URLs. By clicking on the error in the report, Google tells you where the 404 error is linked from. This might be another site or another URL on your website or sitemaps. In both cases, simply implement a 301 redirect from the false URL to the correct target. If the faulty URL is linked from your own website or sitemap, you should fix the link or sitemap entry first before re-directing the URL to the correct destination. Don’t know where the broken link comes from? Congratulations – you’ve stumbled on a mystery 404 error. Although Google does a pretty good job most of the time, the data provided on the Google Search Console crawl reports is not always 100% reliable and accurate. Sometimes, information in the ‘linked from’ tab isn’t up-to-date and might contain URLs that haven’t existed for a while or don’t link to the error URL anymore. If this is the case, simply arrange a 301 redirect for the faulty URL. If there are any mystery 404 errors that have you stumped, our digital experts recommend to assemble these errors in a ‘mystery folder’ and mark them as fixed. Should they keep showing up, you’ll have to dig deeper into what the problem could be – and if they don’t show up, you won’t have to worry about them any longer! This funny error occurs when Google thinks that a page should be a 404 page, but in reality it isn’t. As with all types of 404 errors, simply 301 redirect the page if the URL of the ‘soft 404’ is not supposed to exist. If you get ‘Soft 404’ errors for your actual content pages, it indicates that you have ‘thin content’ on these pages. In this case, you might want to edit the content on your website to make sure it’s valuable and not seen as ‘thin’ by Google, as is standard SEO practice. Always make 500 errors a priority. 500 errors indicate to Google that there’s something wrong with your page. If Goole frequently finds 500 errors on your page, it will eventually result in worse Google search rankings. 500 errors are server errors, which can occur for various reasons such as a subdomain, directory or file extension that causes your server to give back a 500 status quote instead of a page, or the server might have been down for a while due to a temporary problem or maintenance. Contact your web developer and website host to fix server errors and to make sure they don’t occur again. Although 404s and 500s are the most common types of crawl errors, there are many other types of errors you may come across on Google Search Console – such as the 400 and 403 errors. 400 errors are Google’s way of saying that it couldn’t crawl the URL “due to an undetermined issue”. Simply treat this error like a 404 in order to fix it. 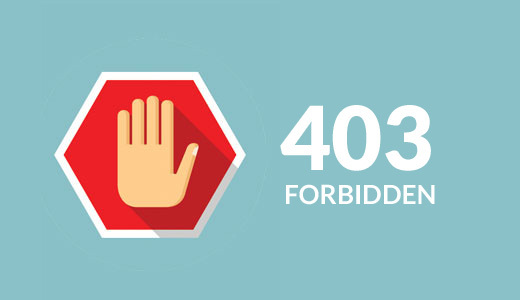 403 errors are URL that denied Google access when Google attempted to crawl them. If you don’t want Google to access these pages, simply ignore the “access denied” error. We’d also recommend to use nofollow links when you link to these pages, so that Google doesn’t try to crawl them again. For all other types of errors, Google provides a wide range of resources with explanations and ideas on how to deal with the different types of errors which can be very helpful. Alternatively, if you are unsure or need any help with Google Search Console or have any other website troubles, get in touch with CuCo today on 01202 911959 or email us at hello@cucocreative.co.uk – We’d love to help!